There is a reason why the phrase “accidents happen” is so cliché: because it’s so true. And when it comes to car accidents, it’s especially true on the icy roads of New England in fall and winter. If you’ve been fortunate enough to have never had a car accident, congratulations! Still, knowing what to expect during an auto claims inspection may still come in handy someday. If you are in an auto accident, you should call your insurance carrier as soon as you are able. The insurance company will need to inspect the damage to your vehicle, document it, and provide you with an estimate for the damages that they will cover. This can happen at the scene of the accident, or at your home, work or a body shop. Some insurance companies may ask you to bring the vehicle, if drivable, to an inspection station. The adjuster will then compile all of the information, run a search for the average cost for parts and labor in your area, and put together a detailed estimate. 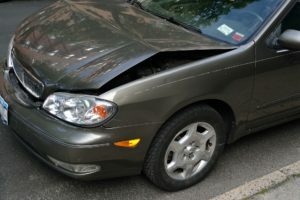 If the cost of repairing the damage is 50% or greater than your vehicle’s market value, it will be considered a total loss (“totaled”), and the insurance company will pay you the cost of the vehicle’s market value in its pre-accident condition. If the estimate is less than 50% of the vehicle’s market value, the adjuster will provide you with a detailed estimate for repair, and you will be reimbursed for this amount minus your deductible, which you are responsible for paying to the repair shop directly. Most autobody shops will honor the insurance estimate, but you may have to shop around or get back in touch with the adjuster. In addition, sometimes there is hidden damage that is not discovered until repair work begins. In that instance, the repair shop will submit a supplement to your insurance company. Your written estimate from the adjuster should have instructions for the supplement process and how to contact the adjuster if you have any questions. When you’re looking for auto insurance, remember that one-size-fits-all coverage does not exist. Learn more about factors you should consider, as well as some helpful tips to reduce your risk of an accident this winter. Then contact us to see how we can help.